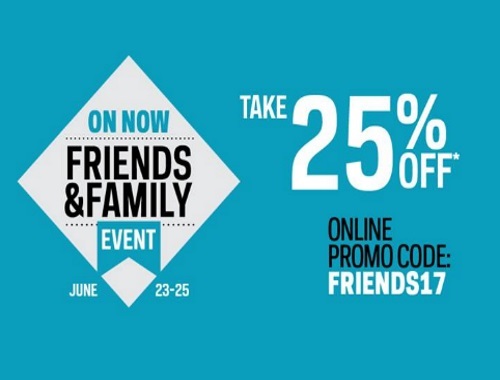 Take 25% off the ticket price on select brands & styles excluding items already marked down or marked as New Price. Take 10% off the ticket price on select brands & styles on items already marked down or marked as New Price. Enter the promo code FRIENDS17 at checkout. Offer is valid online and in-store June 23-25, 2017.